The inn is a 5-min. walk from Echigo Yuzawa Station. Consider enjoying a stay at a Japanese inn while on a skiing or celebratory trip. Sit yourself down in a tranquil space with a fireplace in the back. Available here are beauty drinks the quality of which our young proprietress pays special attention. At night, you can savor cups of unique saké not distributed in Tokyo. Should you arrive early to Yuzawa, you can store your luggage. And if you wish to take a walk along the hot spring street, getas are available in summer and boots in winter. After you arrive, first take a short break Kagetsu-style with some traditional Japanese confectionary and macha powdered green tea. Please enjoy the Japanese tea without worrying about breaking any tea ceremony rules or protocol. 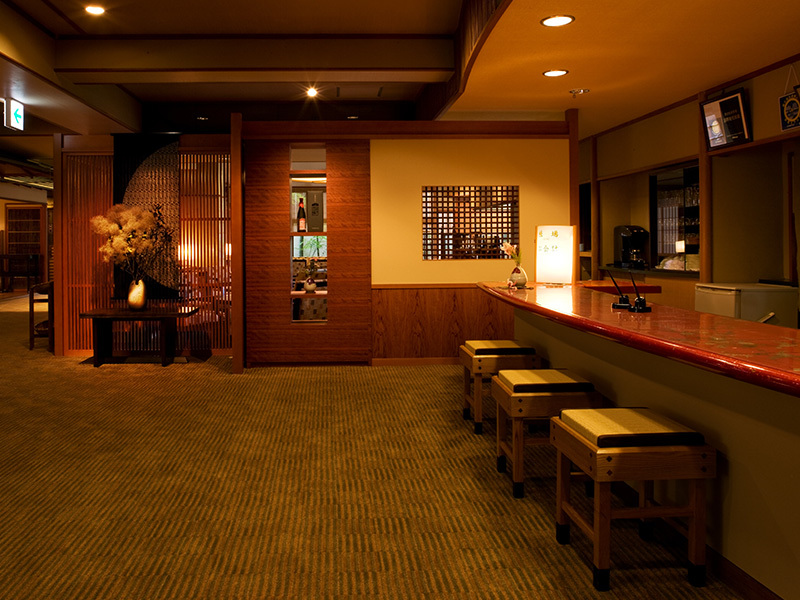 With its raised tatami mat seating area, the atmosphere is like the front of a kimono shop. 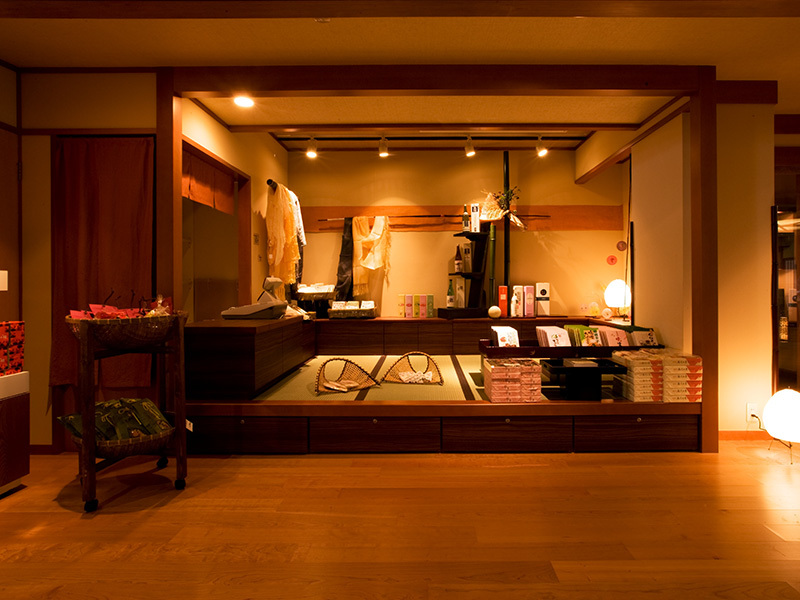 It offers an assortment of Japanese-style local specialties and specialty products. The Conversation Lounge, which also serves as the Library, is at the back of the Lobby. 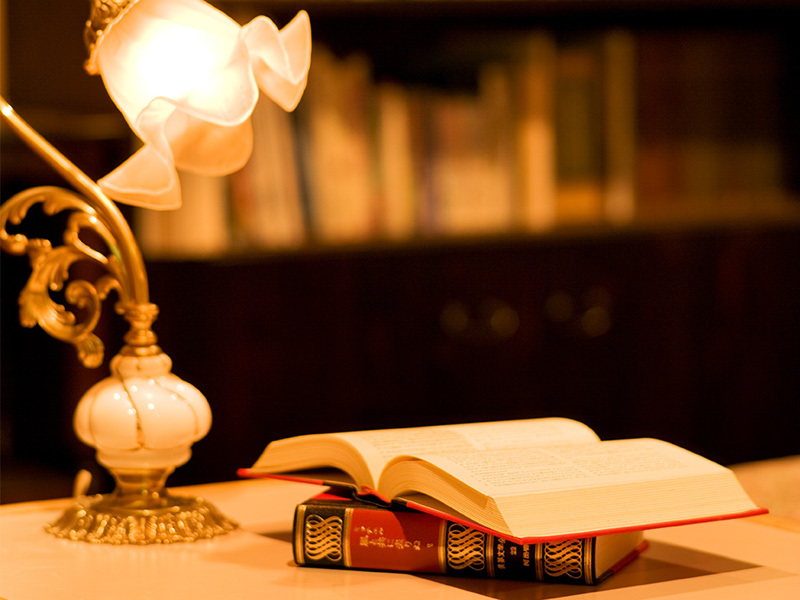 Enjoy the facility anytime you wish, leisurely conversing or reading books. 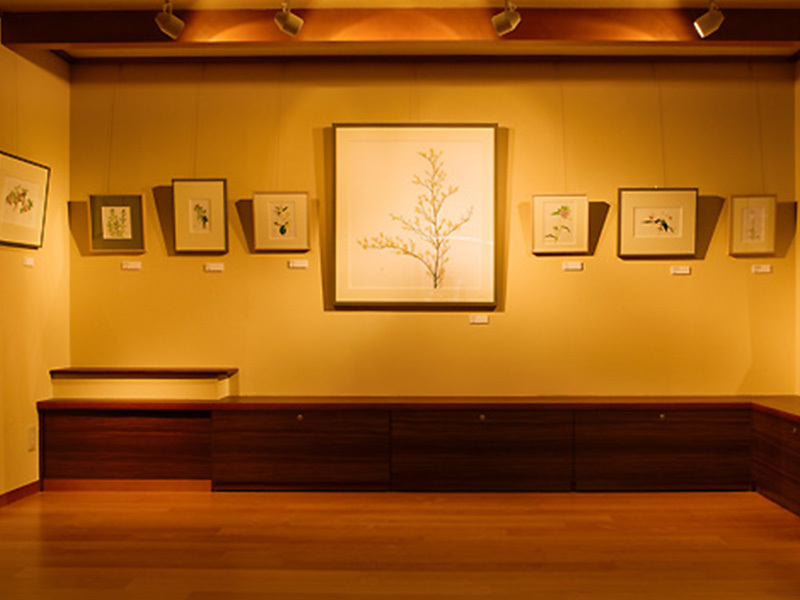 Paintings are on display at the “No-no-Hanakan,” about 10 minutes away by car from Kagetsu. 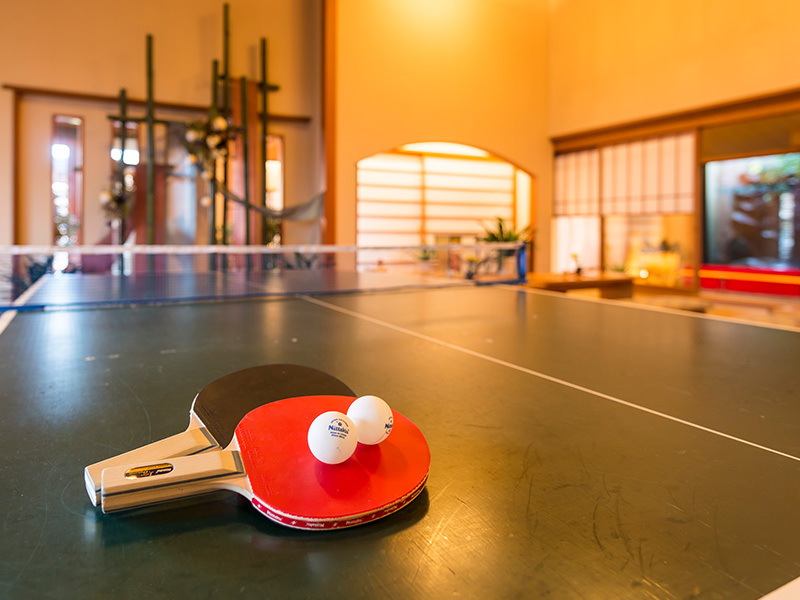 Table tennis is a recreational activity in many traditional Japanese hot spring inns. It is available for use 19:30 - 22:00. The fee is 200 yen for 15 minutes. After finishing your bath, you can lean back in your seat there and leisurely view our traditional Japanese Garden. The view of the snowy winter landscape is extraordinary. Carp swim about freely and, depending on the season, you can try your hand at feeding them. Members of groups can enjoy dining in our various Banquet Halls.